She's Fantastic: Funko POP! - Disney's MALEFICENT (Movie Version)! Funko POP! 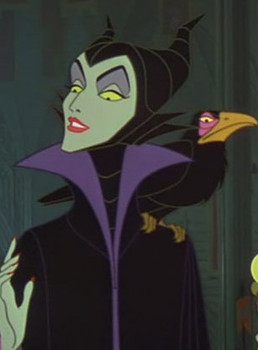 - Disney's MALEFICENT (Movie Version)! 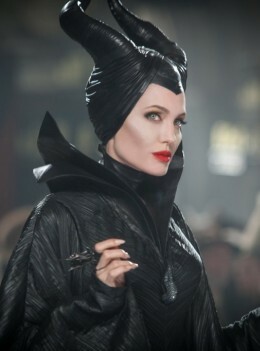 I am dying to see the Maleficent movie. I actually thought I was going to see it this past Friday but was outvoted and went to see X-Men instead. I'll get my way one of these days and bask in those surreal landscapes we've been teased with in the trailers. The film looks magical. Even if it bombs, I'll still love the art direction. Also, it doesn't hurt that I've been a huge fan of Elle Fanning ever since I saw her in Super 8 and Somewhere a couple years ago. I found this Funko POP weeks and weeks ago in TRU. I truly stumbled across her since she was on an endcap in the doll section facing the kids' toys (i.e. far from the action figures). If I wasn't searching for Kre-Os on that particular trip I never would have known this was released. And of course as soon as I purchased it, I discovered an (identical-looking) Hot Topic Exc Glow-in-the-Dark version. Oh well. This figure is great though. When I saw it at ToyFair this past Winter I knew I had to have this POP next to my animated version. Let's check her out in detail below! I like how the movie version has a headdress that looks like a wrapped leather turban. It's a great homage to the "ribbed" look of the animation while providing a real-world interpretation which you need for live-action films.